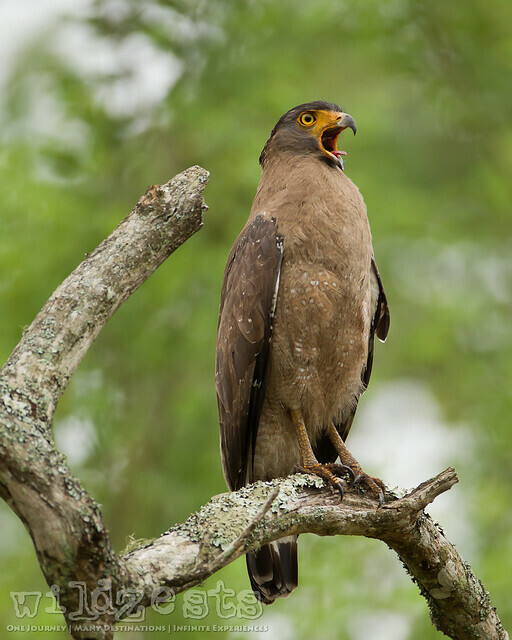 During the morning safari on the last day of our trip, we had a wonderful time with this Serpent Eagle perched on a tree stump. As we watched, it suddenly gave a big yawn which was coordinated with a head movement from side to side. The burst mode helped in capturing the action at it's peak with the tongue fully stretched out.